Turning electric mobility into a tangible experience in a unique way: this was the task put before a team from Audi’s Technical Development in June 2017, with a focus on “innovation vehicles”. Originally developed exclusively for virtual races on Sony PlayStation 4, an Audi GT race car was the starting point for this project. 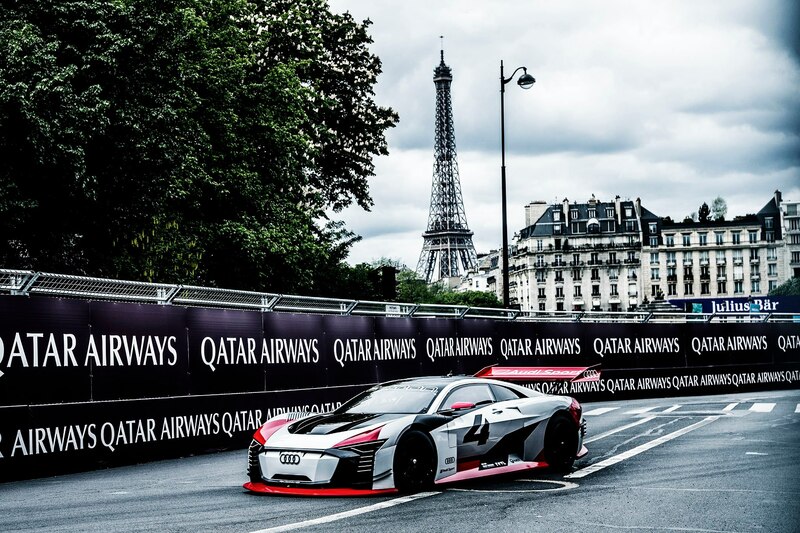 The end result in April 2018: the all-electric concept car, the “Audi e-tron Vision Gran Turismo”, a fully functional, real-world car, which was used as a race taxi at the Formula E championship events in Europe. With cutting-edge technology and a futuristic design, Audi has turned a virtual car into a real one within the space of ten months. 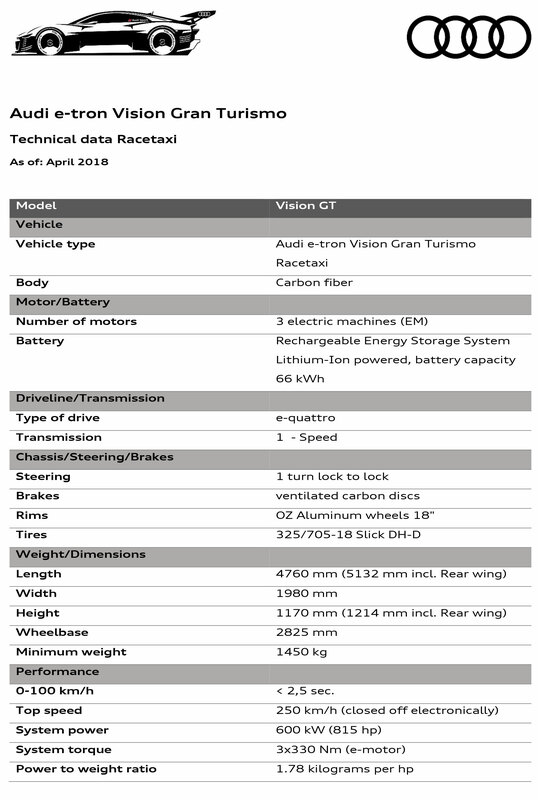 The Audi e-tron Vision Gran Turismo serves several purposes: for one, the brand with the four rings uses it to showcase its capabilities in electric mobility – specifically the expertise gained in the Formula E racing series. In addition, this forward-looking racing car makes it possible to experience the hot topic of electric mobility in an unprecedented way, demonstrating that Audi is also shaping the electric mobility of the future in a sporty, emotive and fascinating style. As passengers in the Audi e-tron Vision Gran Turismo, Audi’s customers and guests get to experience this first hand. Firstly, on the sidelines of European Formula E races: in Rome, Paris, Berlin and Zurich. Following the season finale in mid-July 2018, when the Team Audi Sport ABT Schaeffler won the team title in the world’s first all-electric racing series for the first time, the Audi e-tron Vision GT will be deployed at selected automotive events around the globe. 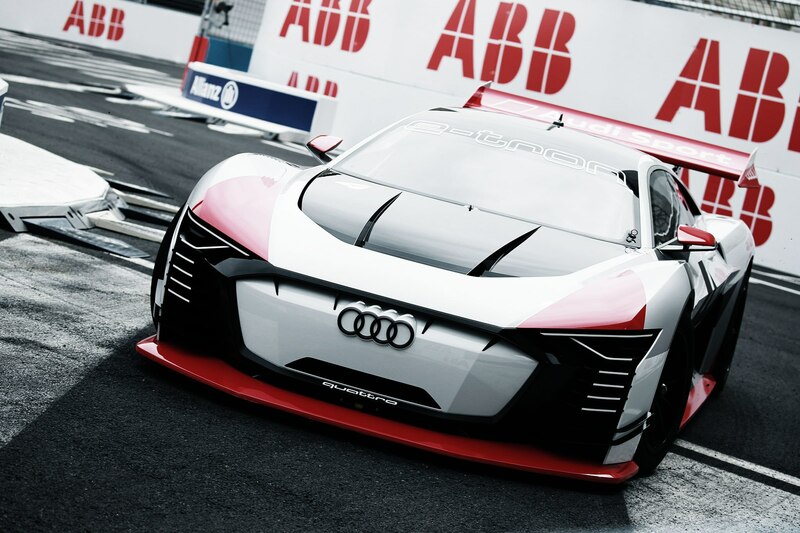 The sprint from 0 to 100 km/h in the Audi e-tron Vision Gran Turismo takes just 2.5 seconds – on a level with Formula 1. After 5.2 seconds, the electric GT race car passes the 200 km/h mark. Three electric motors, each delivering 200 kW, make this possible. One sits on the front axle and two are located at the rear axle. They generate a system output of 600 kW, which corresponds to 815 hp. The maximum torque is 1,000 Newton metres. The triple electric power output is transmitted to all four wheels. 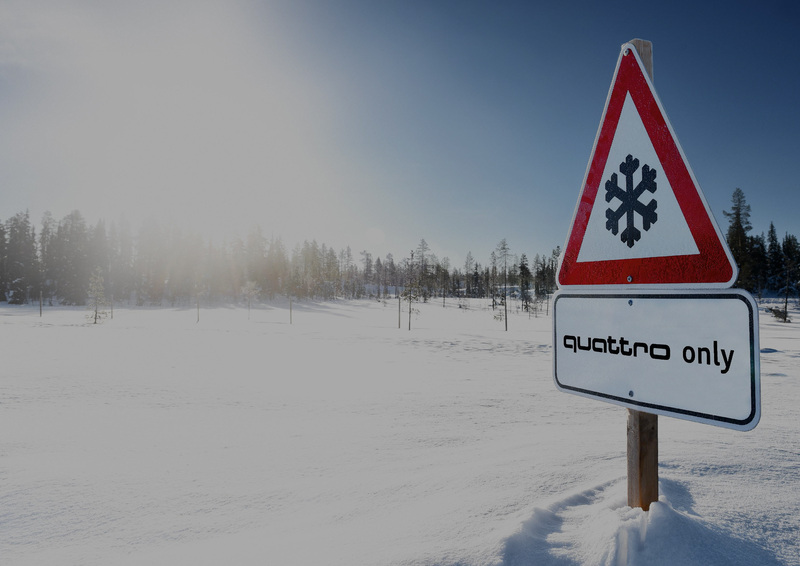 Audi’s permanent, fully electric e-tron quattro all-wheel drive operates with variable torque distribution. The body is a high-strength tubular space frame and carbon fibre combination. The two-seater electric coupé has two doors. When designing this futuristic concept, the Audi developers did not have to conform to a production model or a set of racing regulations. However, sportiness, a powerful structure and clarity were important: this unmistakable spirit exuded by every Audi had to be embodied by the Audi e-tron Vision Gran Turismo as well. So, the exciting look of the 1989 Audi 90 quattro IMSA GTO provided the cues for further development. Numerous elements of Audi’s new design language can be found in the e-tron Vision Grand Turismo. For example, the inverted Singleframe in the body colour clearly echoes the traditional radiator grille and will be a striking feature of Audi’s new e-tron models. In short: with its e-tron Vision Gran Turismo concept car, Audi has produced an impressive trailblazer in terms of shape and colour for an extremely dynamic and progressive GT race car in the future.